Following on from our in-depth look at how New Holland and its parent company, CNH Industrial, are pushing the boundaries of alternative fuelled vehicles, we continue the story with how the manufacturer intends to get the technology to market. James Rickard reports. The timeline as to when New Holland’s methane tractor concept will be commercially available has fluctuated somewhat over the years, but the manufacturer is now adamant the technology will be available within the next three years. While New Holland pretty much has its end sewn up with the development of a methane-powered tractor, it will be the infrastructure to fuel these machines which will ultimately be the deciding factor as to the acceptance of methane power. 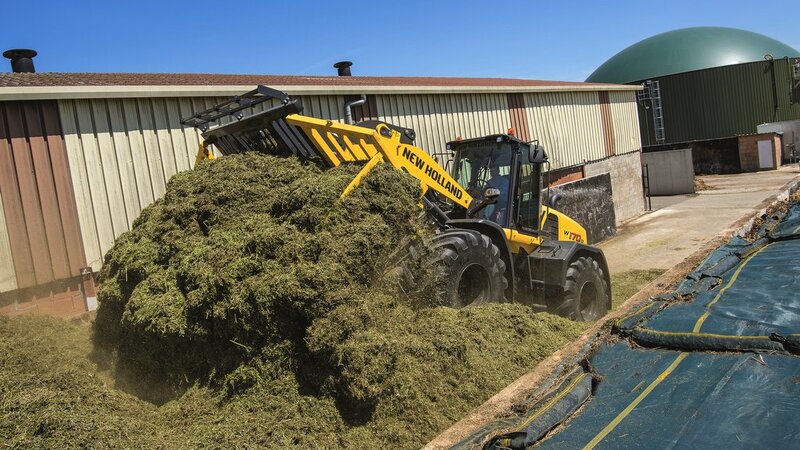 New Holland’s original intent that the concept is a perfect fit for those producing their own biogas from either forage crops or livestock waste still stands, it says. However, to kick start the methane tractors’ career, the firm reckons it will be big agribusiness with multiple orders which will be the catalyst for the alternative fuels revolution. Mark Howell, New Holland’s global product manager for alternative fuels explains; “We need decent order numbers in the early stages to make the production of these tractors justifiable. Once we have sufficient volume, we can then start concentrating on customers which may only want one or two machines. Methane powered tractors; fashion or future? “Early adopters of the methane powered concept will be the AD guys who have already invested in the infrastructure, and companies such as large vegetable growers who have a responsibility to the environment, which they need to demonstrate to investors and retailers. But what about those who like the idea of running a methane powered tractor but do not produce their own energy? Mr Howell says it will take a network of on-farm methane producers, driven by the AD plants to provide fuel for local users of methane-powered machinery. “This in turn provides an interesting prospect for the commercial vehicle sector. In many parts of the continent, a natural gas infrastructure allows the extensive use of alternative fuelled trucks and commercial vehicles – 22,000 of which have been produced by Iveco, New Holland’s sister company. If we had a network of on-farm fuel stations in the UK, particularly up the east side of the country, this would allow those trucks to be used in the UK too." 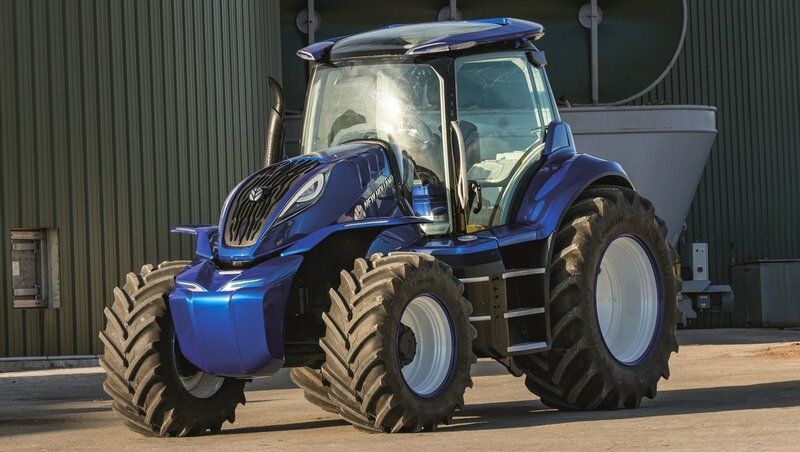 To validate the technology, the methane-powered concept is currently based on a New Holland T6 tractor. However, it is quite conceivable other machines, such as New Holland’s larger T7 and T8 tractors and its range of loaders, could be powered by methane. FPT, CNH Industrial’s engine department, already has a family of methane-powered engines, which includes four and six-cylinder models from three to 12.9-litre capacities. 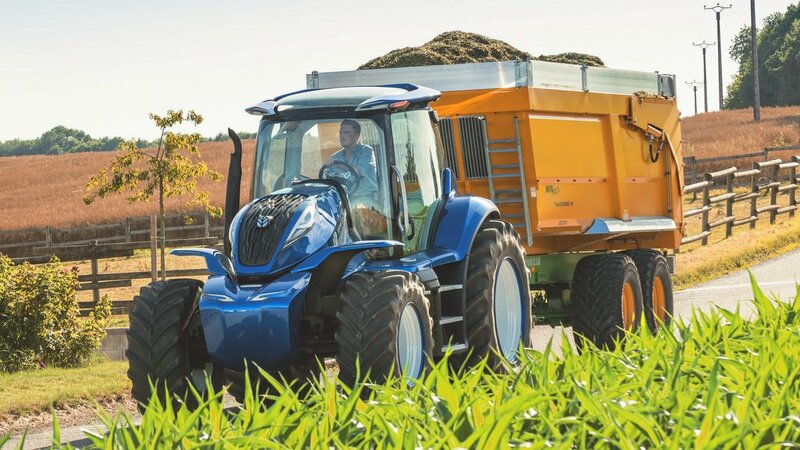 The objective of the latest incarnation of New Holland’s methane tractor was to test people’s opinion on what a future tractor may look and operate like. “There was no point being conservative with the design,” says Mr Howell. “By pushing the boundaries we can work out what is and is not acceptable. This is something you cannot achieve with a safe design. But with a long history of alternative fuel developments, New Holland is already investigation other power sources. 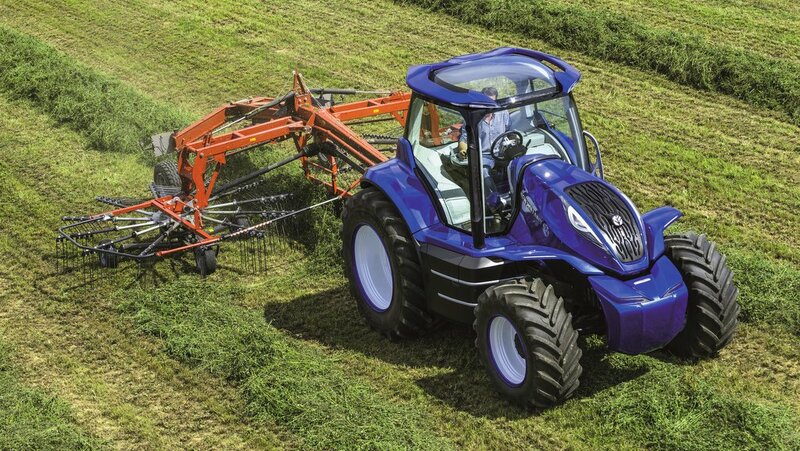 “We have looked at an all-electric tractor,” says Mr Howell. “But it would require a three tonne battery to produce a 180hp tractor, which would be completely impractical. The benefits of electric, however, are fewer design constraints compared to conventional powertrains – you could use cables and motors rather than shafts and gears. This allows for a very flexible layout.